An open letter to Architects: We expected better from you. Holy Hell is not bad, but it is uninspiring. It’s worth a listen even while showing your least memorable recent work. You wore your hearts on your sleeves on Holy Hell, so I feel we can be honest with you in saying how we feel about this album, your eighth. Most people will agree that All Our Gods Have Abandoned Us (2016) and Lost Forever // Lost Together (2014) were extremely tough acts to follow; peak technical metalcore without clichés, honest emotion without the sap. You still have authenticity on Holy Hell, but you played the emotional angle too hard, your riffs lack bite, and your songs lack the anthemic power that they used to possess. We know the members of Architects are not strangers to tragedy. The tragic passing of your founding guitarist Tom Searle from melanoma was made all the more poignant by him being only 28 years old. That he is the twin brother of your drummer, Dan Searle made us cry louder when we got the news. You better believe I wept when I read of it. The anger and the despair reflected in your lyrics could not be more sincere, and only the hardest of hearts could not feel your pain. If only that were enough! I remember stopping the video for “A Match Made In Heaven” from your last album so I could put it on the big screen TV and play it on the full sound system, with the subwoofer on, just because the opening riff was so amazing (it took me two seconds to come to that decision, if even). And this is what I am building to: nothing on Holy Hell reaches anything close to that level of power, of impact, of catchiness. No, Architects, you weighed down all these songs with too many keyboards, too many orchestral sounds, and you played the emotional melodies way too much. Of course Sam Carter’s vocal range is up to the task; only an idiot would dispute that. And yes, the musicianship shows in other ways as well. Dan plays like he really means to pay tribute to his brother, and we believe he has done more than well at that. Josh Middleton plays well in Tom’s place, supplementing Adam Christianson’s role alongside bassist Ali Dean. But even this is not enough. We came here for the songs, and that was where you did not deliver. “Death Is Not Defeat” never lives up to the promise of its intro. It sings to us, but we would have rather been pummeled with crushing riffs that just never came. We saw promise in “Hereafter” when it came out in September, but we expected the rest of the album to be better than this. 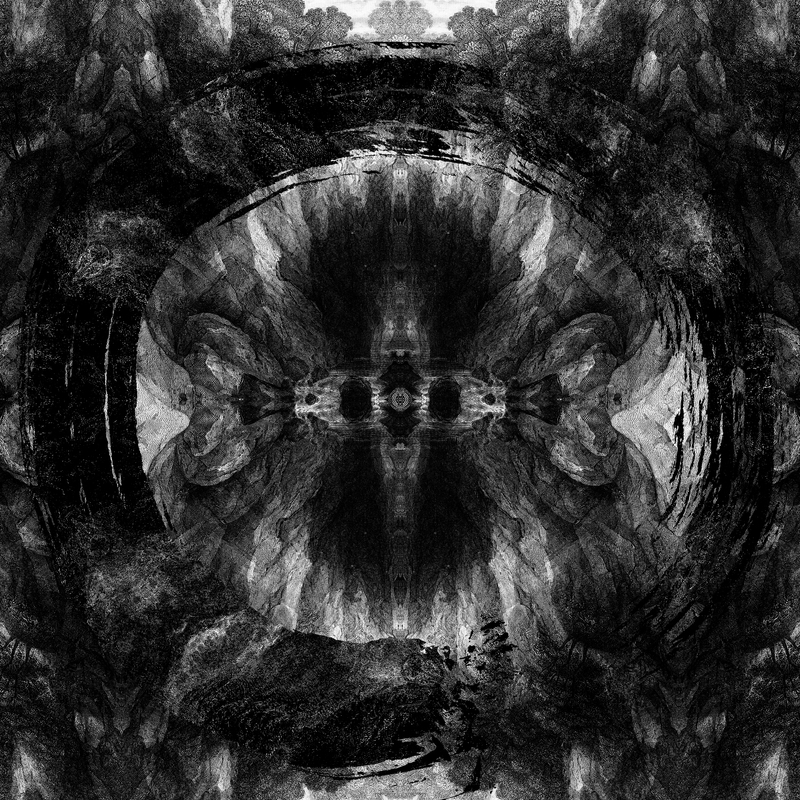 You show a bit of the old Architects angst and fire on “Mortal After All”; “Holy Hell”, “Damnation”, and “Royal Beggars”, however, left us completely flat with their plodding tempos, uninspiring riffs, and by-the-numbers vocal melodies. Again, an over-reliance on keyboards fails to fill the void left by the paucity in the riffing. “Modern Misery” has a chugging riff that would have sounded trite from any other band, but you managed to make it sound fresh, yet it is weighed down by pathos. “The Seventh Circle”, with its Gojira-esque riff, has some of the power we saw on “Mortal After All”, the power that is missing from the rest of Holy Hell. If only you could have made more of the album like this, it would have sounded like the Architects that we know and love; we would have forgiven the softer moments and maybe even accepted them as the space in which you might grow. But alas, dear Architects, such is not your forte. You are so much better when you are angry rather than when you are sad. We rejoice in your ire. Your sorrow only makes us profoundly unhappy. Your decision to put “Doomsday” on this album makes the pain of hearing you like this feel that much worse. We understand “Doomsday” to be the very last song Tom Searle wrote for Architects. His ability to make a four-minute song sound so epic, so profound, yet so worthy of moshing to at the same time stands out on Holy Hell, a beacon of hope at the end of a tunnel of doubt. But “Doomsday’s” merit in this respect is diminished because you released this as a single over a year ago, long before we learned Holy Hell’s release date. To borrow the title of the last song on this album, it feels like “A Wasted Hymn”. My dearest, exalted Architects, we love you too much not to say that we expected better of you on this album. Holy Hell is a disappointment. Please do better next time. Next PostGunship - "Dark All Day"